It’s the holiday season, so you know what that means: online shopping! When I started developing Web sites back in the 90s, many of my first clients were small local shops wanting to sell their goods online, so I developed many a checkout system. And because of slow dial-up speeds back then, informing the user about where they were in the checkout process was pretty important. Even though we’re (mostly) beyond the dial-up days, informing users about where they are in a flow is still important. In usability tests at the companies I’ve worked at, I’ve seen time and time again how not adequately informing the user about their state can cause real frustration. This is especially true for two sets of users: mobile users and users of assistive devices, in particular, screen readers. The progress meter is a very common design solution used to indicate to the user’s state within a flow. On the design side, much effort may go in to crafting a solution that is as visually informative as possible. On the development side, however, solutions range widely. I’ve checked out the checkouts at a number of sites and here’s what I’ve found when it comes to progress meters: they’re sometimes inaccessible and often confusing or unhelpful — all because of the way in which they’re coded. For those who use assistive devices or text-only browsers, there must be a better way to code the progress meter — and there is. A number of sites assemble their progress meters using non- or semi-semantic markup and images with no alternate text. On text-only browsers (like my mobile phone) and to screen readers, this looks and reads like chunks of content with no context given. In the above example, the third state, “Place your order”, is the current state. But a screen reader may not know that, and my cell phone only displays "Shipping informationPayment informationPlace your order". Not good. Now, I have no problem with using a graphic to render a very stylish progress meter (my sample above is probably not the most stylish example, of course, but you understand my point). What becomes important in this case is the use of appropriate alternate text to describe the image. Disappointingly, sites today have a wide range of solutions, including using no alternate text. Check out these code samples which call progress meter images. I think we can all agree that the above is bad, unless you really don’t care whether or not users know where they are in a flow. The alt text in the example above just copies all of the text found in the graphic, but it doesn’t represent the status at all. So for every page in the checkout, the user sees or hears the same text. Sure, by the second or third page in the flow, the user has figured out what’s going on, but she or he had to think about it. I don’t think that’s good. The above probably has the best alternate text out of these examples, because the user at least understands that they’re in the Checkout process, on the Place your order page. But going through the flow with alt text like this, the user doesn’t know how many steps are in the flow. Of course, there are some sites that use an ordered list when marking up the progress meter. Hooray! Unfortunately, no text-only browser or screen reader would be able to describe the user’s current state given this markup. We all know that semantic markup makes for the best foundation, so we’ll start with the markup found above. In order to make the state information accessible, let’s add some additional text in paragraph and span elements. To display and describe a state as active, add the class “current” to one of the list items. Then change the hidden content such that it better describes the state to the user. The end result is an attractive progress meter that gives much greater semantic and contextual information. There are three steps in this checkout process. List of three items. You are currently entering your shipping information. In the next step, you will enter your payment information. In the last step, you will review the details and place your order. List end. Here’s a sample code page that summarises this approach. Happy frustration-free online shopping with this improved progress meter! 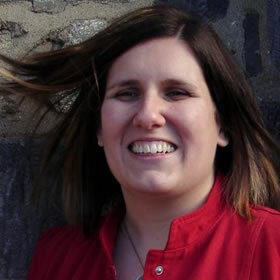 Kimberly Blessing has been developing Web sites since 1994 and has been a professional standards evangelist since 2000. She has worked for large companies like AOL and PayPal, leading their transitions to Web standards. She has also consulted for institutions large and small, helping them migrate to Web standards. She is a member and former Group Lead of the Web Standards Project and is active in other local, grass-roots Web standards efforts. (Geez, can we say “Web standards” any more in this bio?) An instructor in and a graduate of Bryn Mawr College‘s Computer Science program, Kimberly is also passionate about increasing the number of women in technology.